Fine, fanboys, you win—for now. 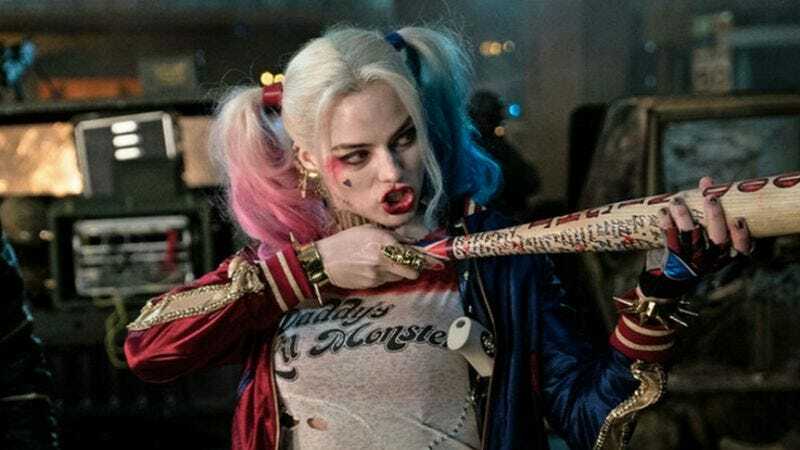 Suicide Squad opened to a record-breaking $131.5 million at the domestic box office, besting the previous record-holder for biggest August opening weekend of all time, Guardians Of The Galaxy, by more than $40 million. What’s more, the film received an average B+ CinemaScore from viewers overall and an A- from female viewers, confusing the hell out of publications (like The A.V. Club) that spent the last week furiously pounding out essays about how gross it is that Margot Robbie’s Harley Quinn spends most of the movie in spangled short-shorts and a jacket that says “Property of the Joker” on the back. As Box Office Mojo points out, though, Suicide Squad’s opening weekend was similar to that of another critically reviled DCEU movie, Batman V Superman: Dawn Of Justice, which did really well in its opening weekend only to experience a precipitous drop in box-office receipts after that. The film did plummet 40 percent from Friday night—when all the biggest superhero fans presumably saw it, took selfies in front of the cardboard cutout in the lobby, and raved to the guy in the polo shirt holding the iPad how great it was afterwards—to Saturday, and then saw another 20 percent drop from Saturday to Sunday. So maybe critics’ vitriol will be proven right in the end. Or maybe us lame-stream media types really are out of touch with the average American’s movie tastes. Case in point: Nine Lives, which was panned by The A.V. Club (and nearly all other critical outlets) but got a cheerful B+ CinemaScore from viewers who thought it was so funny hearing Frank Underwood’s voice coming out of a cat. (A cat! Can you imagine?) That wasn’t enough to earn Nine Lives—the weekend’s only other wide new release—more than a No. 6 debut and $6.5 million, though. The rest of this weekend’s Top 10 barely moved, although all made less than last week’s box-office take. The biggest drops came from Star Trek Beyond, which dropped from No. 2 to No. 5, and Ghostbusters, which fell from No. 7 to No. 9. Other than that, Jason Bourne pulled in a respectable $22.7 million despite falling to No. 2, Bad Moms did well at No. 3 with $14.2 million, and The Secret Life Of Pets stayed at No. 4 like a good boy, yes it is, with $11.5 million. Meanwhile, way down the charts in limited release, the restored version of John Waters’ hard-to-find early effort Multiple Maniacs managed to scrounge up $10,244 on just one theater screen, proving that, when it comes to alliterative titles and bad behavior, it’s not just the big-budget trash that pays.